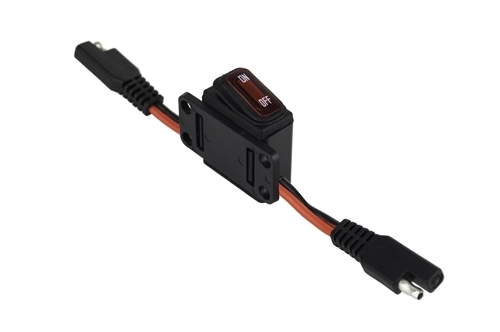 The Power Rail Inline Switch allows you to easily turn your power On/Off. 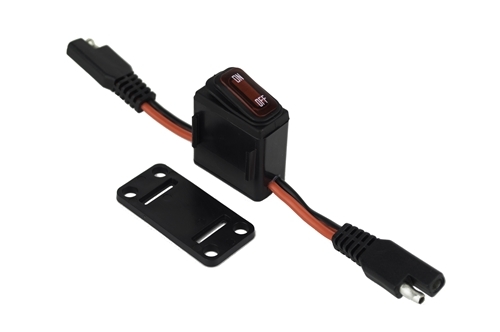 Featuring the same standard SAE connectors used on all of the Power Rail accessories, this switch simply plugs right in without cutting or splicing any wires giving you full control of the power to your accessories. The switch also features a RED LED back light indicator that lets you know when the switch is ON and receiving power. Most electronics are never truly "OFF" and draw small amounts of current even when they are turned to the OFF position. This is called parasitic draw and is often why the battery in your ATV or SxS is dead when you take it out of storage after an extended period of time. 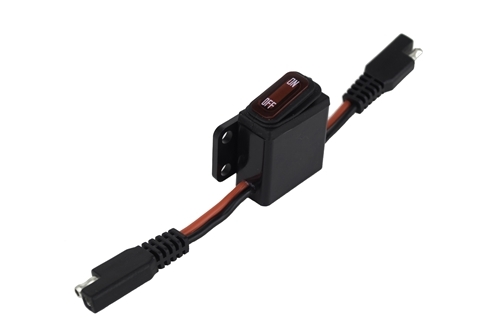 The Power Rail Inline Switch can easily be added to your main power wire to your electronics, top, or console allowing you to completely kill the power to them when you store your machine. Detachable mounting plate and screws for easily attaching the switch housing to the Power Rail.